The +House is developed as one big terrace overlooking the breathtaking beach of manta. The house is formed at a plus or a cross, where one of the boxes is placed perpendicular on the coast line, following the terrain down the slope and the other is places along the same high of the hill crossing the other box in the middle. 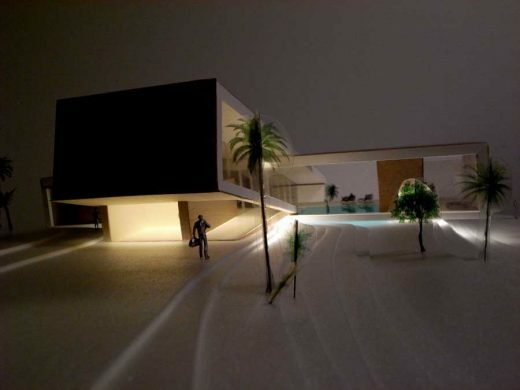 The open/public programs such as living room, dining and entrance is placed in the box following the slope down. In this grand open space you have the overview of the hole house, giving you feeling of living on a hill side, where the spaces is slowly stepping down the slope toward the beach. The other box, following the same high level serve as one big terrace. Here is placed the more private functions as bedrooms and bathrooms. The functions are placed as closed wooden boxes on the terrace, overlooking the beach. In close connection to the sloping box and the dining area inside, is placed a pool on one hand side, overlooking the beautiful beach and to the other side, an outdoor kitchen and dining area. 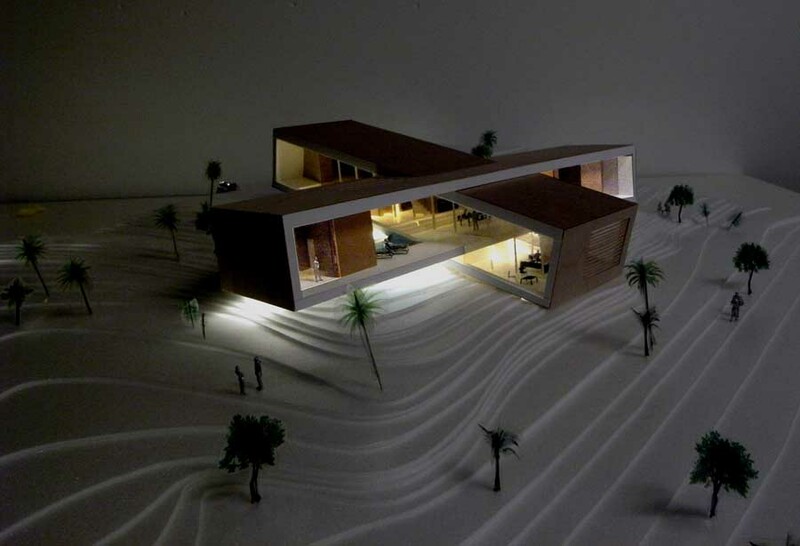 WE Architecture, founded in 2008, is a young innovating architecture office, based in Copenhagen, Denmark. Our capability spans from architecture, urban strategies, tangible design and utopian ideas. WE believes that the best result emerge through teamwork and transdisciplinary networks. That is why WE Architecture work across continents as well as across professional borders to enter complex conditions with the best insight and precision. We create proposals that merge through creative translation of all the information we all get from contexts, conditions and programs.